Hey all you GingerScrappers! 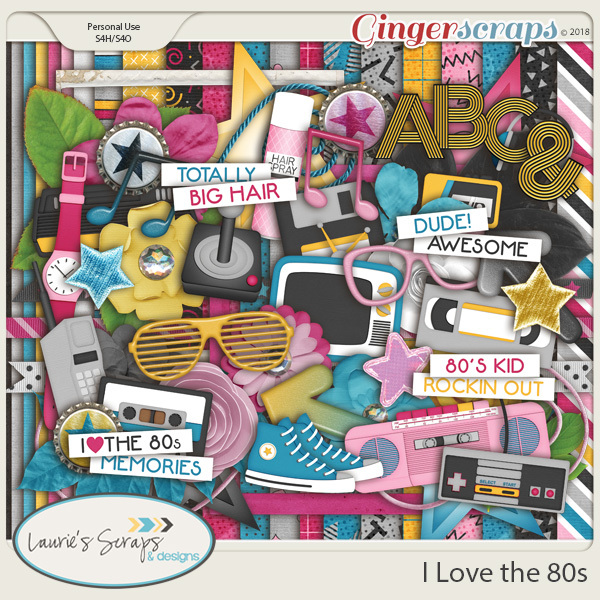 It’s April and our Designer Spotlight is on Laurie of Laurie’s Scraps & Designs. Laurie was in the hot seat in August 2017 and I’ve already interviewed her so I’m not going to put her through all that again. If you’d like to get to know her a bit better, you can find our interview right here. Laurie has a beautiful Daily Download for us this month. It’s called I Love the 80s and you’re going to love it! Make sure you check out Laurie’s shop and get in on the fun at the Designer Spotlight Challenge.